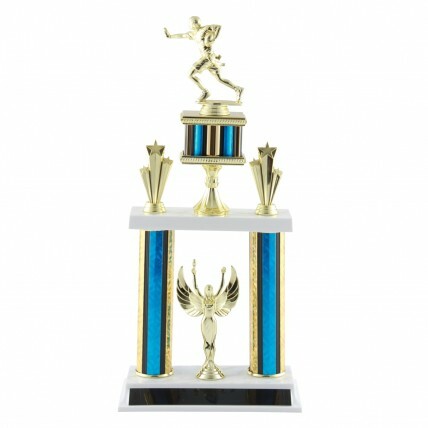 Regal columns with gold accents highlight our Deluxe Flag Football Tournament Trophy - 18.5". 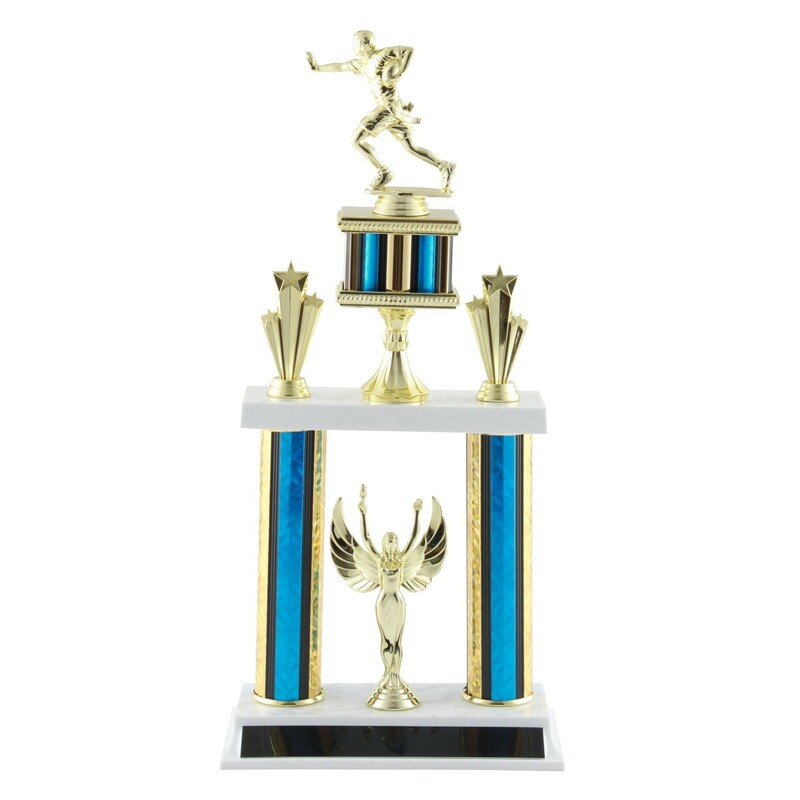 This deluxe trophy has golden stars and grand features, including your choice of column color, shooting star trim, and 2 figures – a 5 inch flag football player above, and a winged victory figure below. At 18.5 inches tall, any winner would be proud to display this award in their trophy case!